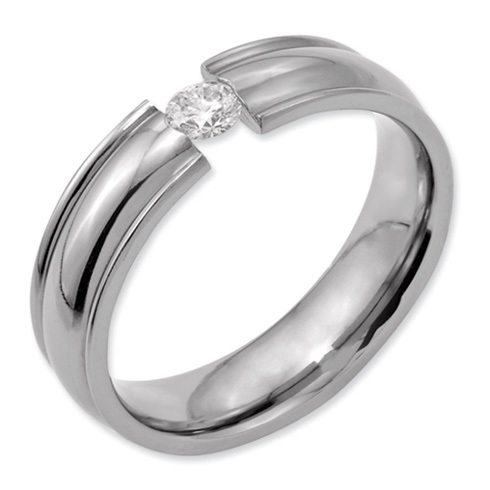 Titanium wedding band has a 1/4 ct diamond with grooved edges. Polished finish. Width: 6mm. Diamond quality: I1 clarity / G-I color. Comfort fit. Import.